Leveraging her knowledge of both the Chinese and Singapore legal, regulatory, and business landscape, Dr Qiu works with Chinese clients as well as international clients on transactions within and beyond China. She focuses on mergers and acquisitions and capital markets related transactions in Singapore, including initial public offerings, reverse takeovers, general offers, major acquisitions, disposal, corporate restructuring, and dual-listing transactions. 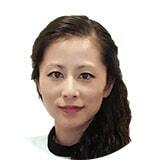 She assists clients in setting up renminbi (RMB) private equity funds, establishing joint ventures, and acquiring commercial properties and business operations in China and in Europe. In addition, Dr Qiu is experienced in advising corporate governance and compliance matters from the perspective of Singapore laws. She has retained a list of loyal clients engaging her for long-term legal service to ensure legal compliance in Singapore over the years. Dr Qiu is a dual qualified lawyer – (i) she is a registered foreign lawyer permitted to practice corporate and commercial Singapore law, and (ii) she is also legally qualified in the People’s Republic of China. Fluent in English, Mandarin and Shanghainese, Dr Qiu frequently contributes to legal publications in both Chinese and English. She also acted as an interpreter from Shanghainese to English and vice versa for the State Courts of Singapore. Prior to joining ZICO Law’s Singapore office in January 2017, Dr Qiu had been practicing in Morgan Lewis Stamford LLC (a Singapore legal practice merged with an international law firm – Morgan Lewis & Bockius) for nine years continuously since January 2008.